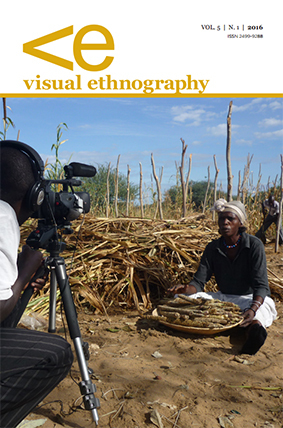 This paper introduces an approach of Participatory Ethnographic Filmmaking I developed by making films together with rural dwellers in Namibia, Botswana and Angola. Grounded in the field of ethnographic filmmaking, it aims at making anthropologically informed films together with groups of people with no previous filmmaking experience. Workshop participants shape the form and content of the film and contribute to its practical making. In this paper, I explain how such films can be made in a wide range of different settings. Participatory Ethnographic Filmmaking gives the participants the possibility to shape their own media image and generates new forms of collaborative knowledge. Despite the drastically diminished size of the centuries-old German-speaking minority of Transylvania since 1989, German-language schools thrive as they attract an increasing number of students originating from the ethnic Romanian majority population. A participatory photography project explored how these young multilingual Transylvanians position themselves in relation to the German-Saxon heritage in their social and physical environment. An important aim was to trace any shifts in ethnic self-identification, and to assess the actual importance of ethnic categories as opposed to socio-economic considerations. The project also explored ways in which a Photovoice approach is useful combined with other, non-visual methods. 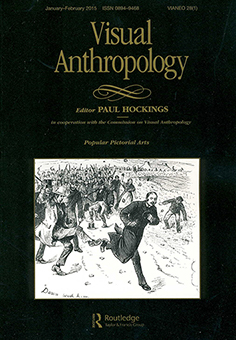 This article seeks to valorise and understand the potential of ethnographic drawings for anthropological fieldwork, exploring their relations to ways of making records and visual research. I argue that drawing contributes positively to anthropological research and vice-versa: researching anthropologically contributes to drawing the world about us. After a brief review of the literature, I present eleven benefits of using sketchbooks and drawings in ethnography, discussing topics related to the methodological challenges of fieldwork, such as accessibility, memory, temporality, spatiality, visual perception, forms of recording, dialogue with informants, participatory methods and the sharing of results. 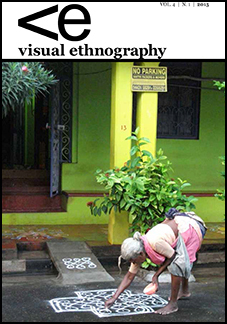 Participatory visual methods are becoming the new hype in anthropology. Researchers tend to present participatory visual methods as attractive approaches to not only promote innovative research that engages informants in original and collaborative ways but to engage students eager to find bridges between the academic world and a world progressively addicted to visual consumerism. Unlike photographing and filming, doodling-sketching-drawing – participatory or not – is more about linear image mental processing and communicating (and thus somewhat akin to handwriting, lack of linguistic encoding and propositionality notwithstanding) than an “objective” visual method. Based on discussions from a workshop dedicated to “ethnographic drawing” in the University of Aberdeen, we propose to tackle some of the features of the drawing practice, hoping that its much-misunderstood potential as a knowledge tool helps us reconsider what anthropological understanding is. This photo essay, whose images and captions were created by farmers living in Cantanhez National Park, Guinea-Bissau, illustrates and analyzes the diverse ways in which these West African photographers and collaborative researchers chose to represent change. Some of the visual and narrative devices employed by the photographers include staging the past; representing before/after situations; and thoughtful composition in the visual depiction of changed and changing physical environments. Beyond our initial research focus on perceptions of climatic changes, these farmers turned photographers shared compelling portrayals of change in its social, economic, ecological and cultural complexity, in some cases offering counter-narratives to the dominant environmentalist narrative about this protected area. The working conditions of African labourers in Calabria are characterized by severe precariousness, exploitation and poor remuneration, which lead to deplorable living conditions. Thousands of migrant workers live in unheated tent camps and makeshift barracks. The Bitter Oranges project combines documentary photography, self-representation and short captions explaining the economic and political conditions that provide a framework to the visual ethnographic material. The goal of the visual ethnographic exhibition is to show the widely ignored working and living conditions of African migrants in Southern Italy to a broad public all over Europe. The participatory approach of this visual anthropological study further aims to render “voicing” possible: giving the people the means to photographically document their destitute everyday living conditions. This exhibition contributes to a decolonized gaze, putting a focus on people’s agency despite the slave–like conditions that are imposed on them structurally. The film “Huchi – Honey” depicts the production of honey from wild bees as well as different aspects of honey use in Central Angola. In the highlands of Central Angola honey is an important means of subsistence and cash income. It is used for cooking and medicinal purposes as well as to brew mead. Honey is deeply imbedded in Chokwe oral tradition, as a way to survive in times of crisis. The film “Honey” was conceived and shot by a group of villagers from the Cusseque area during a participatory film workshop organised for the international research project “The Future Okavango”, investigating resource management in the Okavango Basin.